Wait, Paul! Do You Want Us to Speak in Tongues or Not? The tongue – Scripture tells us it can be a great blessing and a grave problem (James 3:1-12). And don’t we, especially I, know this truth. But still, the tongue can be used for blessing. And I believe one way it can be used is not just through kind words of encouragement and comfort, but also through the oft-misunderstood gift of tongues. We don’t really have much detailed instruction by way of Scripture of how this gift works. We have a some directives in 1 Cor 14, as well as examples throughout the book of Acts. But there definitely isn’t a guide that says: this is exactly how you do it! And, again, I wouldn’t expect Scripture to give exhaustive commands about this gift, since it is not some kind of guidebook listing detailed instructions on the how to’s for everything it touches upon. But here is where things get a bit sticky with the gift of tongues: In reading 1 Cor 14, it seems Paul tells us this gift is a beneficial gift to be utilised amongst God’s people. But on the other hand, it seems we’re told almost the opposite. It’s going to cause problems for non-Christians, so don’t use it. Here is my next-to-last article on the subject matter of the gift of tongues. If you want, you can see the previous seven posts by clicking here. This particular post will deal with the gift of interpretation of tongues. The ninth and final article will share a unique account of some ministry friends of mine and their first ever experience with the gift of tongues. I don’t believe I need to spend as much time on this gift, knowing that I covered some of its aspects in my thoughts on the gift of tongues. Hence one article. But, to begin, I give this summary definition to ponder: The gift of interpretation of tongues is the Spirit-enabling to interpret a message in tongues into the known language of the people so that they may enter into the meaning of the message and be edified. When we get down into the few practical details Paul shares in 1 Corinthians 14, I believe this a helpful and clarifying definition for the gift. Now we do read about the function of tongues in the book of Acts (i.e. 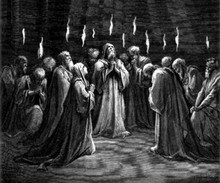 the 120 disciples at Pentecost in 2:4, 11; Cornelius and household in 10:46; and the Ephesian disciples in 19:6). But we really don’t read about the function of the interpretation of the tongues in these 3 accounts. All we can do is speculate. Some do try and differentiate between the tongues occurrences in Acts and the instruction for the local gathered church in 1 Corinthians 14. But I think such dichotomises things too much, quite like trying to distinguish between prophecy in 1 Cor 12-14 and prophecy Rom 12:6. The two are one and the same gift of prophecy. The tongues of Acts and of 1 Corinthians are one and the same gift of tongues (though, no doubt, the practical outworking of prophecy and tongues can be recognised, i.e., specific factors to consider between a large congregational gathering and a home group, etc). 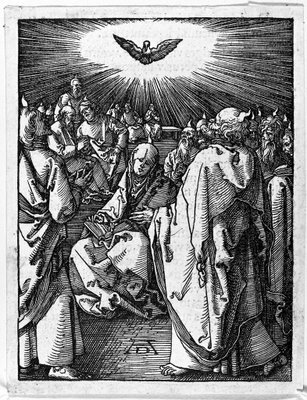 What is happening is that either 1) those who were speaking in tongues were speaking in the languages of the onlookers without ever learning those languages or 2) those who were speaking in tongues were speaking in their own language but the miraculous aspect was that the onlookers were hearing these people speak in their own languages. I have heard arguments for both, but I lean towards the former, #1. And I think this links in with Paul’s explanation of how the gifts of tongues and interpretation function in 1 Cor 12-14. Hence why Paul says if the people only speak in tongues, people will not know what is being said. Plus, Paul implores the Corinthians to interpret the public messages in tongues. Now, I don’t want to be so stringent as to say the latter, #2, cannot take place. I am sure it has happened. 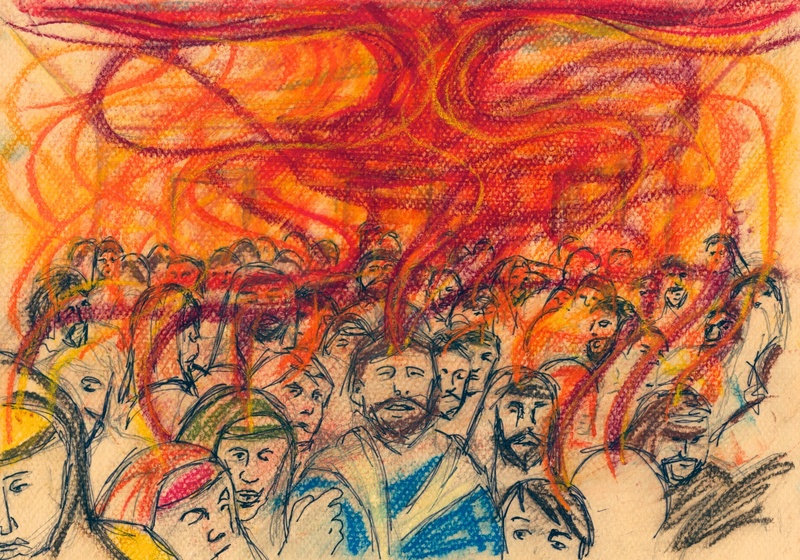 And it’s possible this is what took place at the Pentecost event recorded in Acts 2. But it seems scenario one that I mention above is the more likely option. Now, here is a huge question we have to consider – Who can interpret the message in tongues? There are two possible options: 1) anyone in the congregation, except for the one who spoke the message in tongues or 2) anyone in the congregation, including the one who spoke the message in tongues. Some people might have a problem with option #2. Well, it’s very possible that if #2 is an option, then these two gifts can be faked quite easily. I mean, think about it. You have a person who raises their voice in the midst of the congregation and speaks forth a public message in tongues. No one, in ‘the natural’, knows what has actually been said. Then, lo and behold, a moment later, that same person speaks forth the interpretation. Could this not just be a fraud? Listen, I have no doubt that these two gifts have been faked plenty of times. But we cannot let fear of fraud dictate our belief about these gifts (or anything God desires). What I find from some people is an extreme cynicism towards these gifts, questioning every thing that might have anything to do with mystery. But unless someone is present who knows the language of the tongue given (and that is not always, or normally, the case) then we cannot be 100% sure of whether it has been faked. And I am glad we cannot have that 100% certainty. It strips the reliance upon the Spirit and his work, even his mysterious work. There is a measure of faith needed when functioning in any gift of God. And we find ourselves in such a case with these two gifts. Now, those with the gift of discerning of spirits might be very helpful in such situations, as well as wise and seasoned leaders. But it is not always fool-proof. Still, I believe 99 out of 100 times, there will be a sense of God’s true and gracious presence when these gifts are put into practise in the way God meant for them to be. But back to the focus of the question – Can the one who gives the tongue also interpret? I believe the answer is unequivocally a yes. I come to this conclusion from both Scripture and experience. In his letter to the Corinthians, Paul gives this statement right in the middle of his instructions on the gift of tongues and interpretation – Therefore, one who speaks in a tongue should pray for the power to interpret (1 Cor 14:13). I actually believe the first responsibility for interpretation lies with the one who speaks in the tongue. Paul desires edification. And so if someone wants the responsibility of sharing a message in tongues to the body, they need to also be willing to take up the sobering responsibility to ask God for the interpretation, and then speak forth the interpretation as He makes clear. And I am confident that if a true message in tongues is given, then God will be faithful to give the interpretation that there might not be confusion. That is my biblical backing for why I believe the tongues-speaker can also give the interpretation. 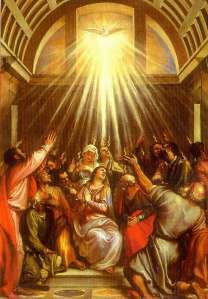 But, if interested, I also share a very good example in my second article of how one person was used in both the gift of tongues and interpretation in the same gathering, also having the interpretation confirmed by someone else in the midst of the congregation who spoke the language that the tongue came in (Hebrew). And I also have been used in giving a tongue and soon afterwards bringing forth the interpretation as well. It’s not that odd or out of the question. I want to make one final practical side note before closing out this post, one that might be disagreeable, but I see it as important to consider. I believe we are called to not take on board some rigid view in regards to the practical function of interpretation following the message in an unknown tongue. What I mean is that, if the person giving the message in tongues speaks for a certain amount of time (i.e. 45 seconds), the interpretation does not have to be the same length of time. This would be the same if, in our local church context within Belgium, I were to preach-teach in English and we chose to offer a translation in Dutch or French. Every half-minute or so I would look to pause for the follow-up translation. But, while my English statement might have taken 30 seconds, the Dutch or French translation might only come forth in 15 or 20 seconds. This is simply a practical reality when moving from one language into another. In all, I would say the main purpose of the interpretation is to communicate the thrust of the message being brought forth in the tongue. Now, this might seem overly ridiculous to consider. But I do know it is easy for some to move into a very extreme and stringent approach not only with the function of tongues and interpretation, but for all gifts of the Spirit. It must be this way and no other way. It must happen like this and not like that. While I believe there are some generally helpful instructions on the gifts, especially starting in the New Testament, we have no detailed rulebook regarding all the in’s and out’s. And I believe God meant it that way, lest we try and dictate to Him when and how and who and where and how much and why things must function in a specific way, no questions asked. Like the Pharisees, we can easily apply more rules than God Himself. Again, I believe the purpose in bringing the interpretation of the tongue is that we communicate the core of the message. Of course, if someone waxes eloquent for a couple of minutes in tongues and someone comes forth with the interpretation and simply says, ‘Jesus saves,’ then I would assume we have a problem. But I have not yet seen such happen. Still, I don’t think we are to sit around counting seconds or syllables, straining a gnat. Thankfully, wise leadership will be able to help practically facilitate the function of these two gifts, all for the edification of the body. No doubt the gifts of tongues and interpretation are not the easiest gifts to consider nor allow people the freedom to function in them. Hence, the continued title of my posts – The Tongues Conundrum. The two gifts can be and have been faked (just as every other gift can and has been). But we cannot let this steer us from these two gifts that can and have been used for the building up, edification and strengthening of the church, and as I will share in my last post, even being used to draw people unto God Himself. Well, with regards to my series on the gift of tongues, I thought I would get on track to finish it all a few weeks back. I had just a few short articles to finish out, but alas, I haven’t posted in a couple of months. Therefore, I wanted to put up this newest article, with only 2 more left following today (at least, I hope). I move on to an important point to remember with the gift of tongues, or possibly any gifting that is used more ‘spontaneously’ amongst the body of Christ. This crucial reminder focuses in on the proper controlling of the gift. Now, when I use the word control, this can mean all sorts of things to all sorts of people. What I don’t mean is an overt desire to control every single thing that happens in the midst of the congregation. Plenty of leaders and Christians are prepared to nip anything in the bud that might be of a more spontaneous nature. This happens not just with tongues, but with any sort of open sharing in the congregational gathering (gifts from 1 Cor 12 or not). In the end, when something goes a bit awry, no one can say, ‘The Spirit made me do it.’ Such is not the case. God does not want confusion but clarity. At the same time, God does not fit in a nice and neat box. We read about some strange activities in the Scriptures like Isaiah walking around naked for three years (Isa 20:3) and we see that Jesus had an unusual ‘spitting ministry’ (see Mark 7:33; 8:23). Therefore, we want to guard against man-made restrictions in our gatherings. But we also want to guard against out of control, ecstatic experiences that cause major confusion. And I believe solid leadership will help facilitate this. Again, not control every nuance. But a facilitation (or administration) of proper use of the Spirit’s giftings, all for the building of of the body of Christ. If we keep in mind that our goal is edification of the body, then we shall be willing to walk out these wise words of instruction in Paul’s letter to the church in Corinth, a church that had themselves gone quite overboard in their expression of the gifts of the Spirit, especially tongues. And so, after these 7 articles thus far, I believe we can summarise the gift of tongues as this: Speaking out words of prayer, praise or proclamation given by the Holy Spirit in a language unknown to the speaker and possibly unknown to the hearers as well. Now we just need to follow up with some thoughts on the gift of interpretation of tongues. I am finally getting back on track to finish out my series on the gift of tongues. The title of the series – The Tongues Conundrum – points to the reality that this is the most debated, and probably most misunderstood, gift of the Spirit. Can you see the confusion, almost contradictory statements, with these words of Paul? Look at vs22-23 again: 22 Thus tongues are a sign not for believers but for unbelievers, while prophecy is a sign not for unbelievers but for believers. 23 If, therefore, the whole church comes together and all speak in tongues, and outsiders or unbelievers enter, will they not say that you are out of your minds? In vs22, we read that the gift of tongues is a sign for unbelievers. But in the next verse, Paul points out that, if all are speaking in tongues, and an outsider-unbeliever comes into the gathering, will they not have a negative reaction and say that the people are out of their minds. You see the seeming contradiction? And some have personally seen this kind of reaction described in vs23 in a church gathering. Not only that, but, because of Paul’s words in vs23, some churches only allow for the use of tongues in smaller settings such as homegroups or prayer meetings. So, what is going on here? How do we approach such a passage? And, so, what Paul alludes to in 1 Corinthians 14, by referring back to the words of judgment in Isaiah 28:11 is that, if the church gathers together and all speak in unintelligible, and uninterpreted tongues, such will become a negative sign of judgment for outsiders who have come in the gathering. To this, Paul says you are not utilising the gift in a proper manner. For remember, it is uninterpreted tongues that function as a negative sign. Interpreted tongues are good. That’s the whole context of the passage in 1 Corinthians 14 – when you use the gift of tongues in a public setting of proclamation, follow up with an interpretation. Therefore, I do hope this sheds a little more light on the enigmatic passage of 1 Corinthians 14:20-25. Remember, Paul is not saying we should never use tongues in the public gathering of the church. He is instructing us to not have a bunch of people speaking out public messages in tongues without interpretation. Otherwise, like in the days when God judged Israel through the Assyrians, this would become a negative sign of judgment upon the unbelieving and unspiritual in our midst. They wouldn’t know what is going on. They would think the congregation mad. Thus, let’s follow the practical guidelines of vs27-28 and provide interpretations as we allow for the gift of tongues to be used in our gatherings. This is a good and beautiful gift of God’s Spirit given to the body of Christ. But our call is to use it correctly for the edification of the body and even for drawing those to Christ who are not yet followers.